Kayak fishing is one adventure you will surely love to do again and again. However, it will not be as enjoyable as you want it to be if you don’t bring along with you the best fish finder for kayak fishing. It does not matter if you are doing it for fun, recreation or in competition, it is best to equip yourself with the right gadget. But how would you know which is the right fish finder for you? We are aware that the different features and sonar systems can be confusing. So, we have come up with this post to help you out in deciding. So, who is our winner? For those who want to jump straight to our final verdict, here are our top picks. We have designed a comparison table below for your easy reference. However, it is important to note that the positions are in no particular order of importance. Some models may be preferred by others, therefore, please do read in details, which one may suit you the best. If you are in search for the best portable fish finder that is also wireless and superlight for kayak fishing, the Deeper Smart Sonar PRO plus is a perfect choice. The gadget weaves fishing into a tablet/smartphone interface without being tied to it. If you don’t have an Android or iPhone, don’t worry as it works perfectly on all platforms. 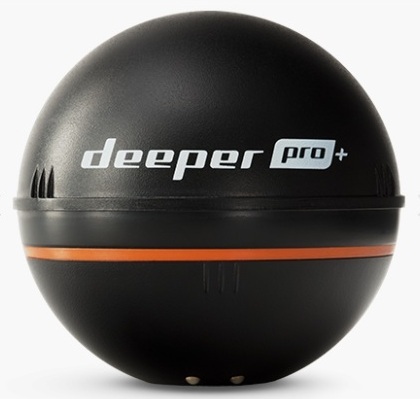 Deeper Smart Sonar PRO+ is designed to find the best fishing spots. One of its unique features is its ability to tie the fish finder with fishing line, making viewing the entire area between you and the end of the line possible. The Deeper Smart portable fish finder will enable you to find the best direction to cast and also how deep and how far out the fish is. This feature alone makes it the best choice for a fish finder. 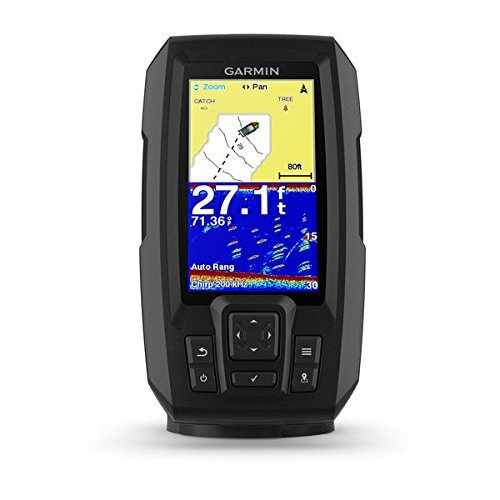 For anglers who are looking for a small but yet powerful fish finder that is filled with plenty of helpful features, the Garmin Striker Plus 4 is the one for you. It is very easy to carry and mount on your kayak. The screen displays the data and images in full color, and it is easy to view regardless of the weather conditions. The Garmin Striker 4 has keypad-style controls, which makes navigating easy between screens. Its GPS let you mark your favourite fishing holes so that you can locate them again later. The most impressive feature of this gadget is its built-in sonar technologies. This device uses a CHIRP-enabled transducer, which will enable you to find the fish easily. Its DownVu scanning sonar technology offers unparalleled detail underneath the surface. This is the latest sonar unit released by Humminbird, and it comes with all the features that anglers are looking for in a fish finder. The DI sonar unit has an advanced GPS module that enables you to mark the best place to go for fishing. Navigating significant waterways is made easy due to this fish finder. 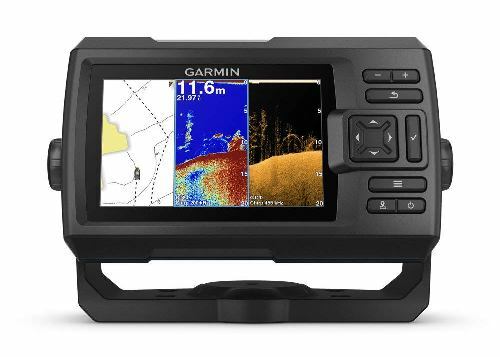 The Mega Down Imaging of Humminbird Helix 9 DI uses frequencies that are 3 times higher than those emitted by ordinary down imaging fish finders. This Humminbird portable fish finder enables you to see unprecedented detail, like rocks, baitfish and fish schools, up to about 125 feet. Autochart live lets you make your maps of your fave waterway. Just turn on the unit and begin cruising back and forth on the surface. Through this, you will be able to map the depth of the water, the vegetation or bottom-hardness, giving a better insight into the world underneath the water. 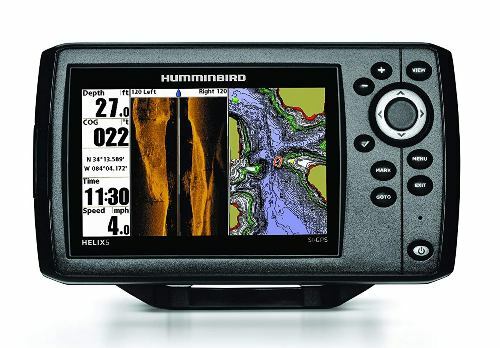 The Humminbird HELIX 5 SI is an older model with new features. It does not have CHIRP sonar features, but it offers three types of sonar - DualBeam Plus, Down Imaging, and Side Imaging. The device also comes with the UniMap base charts. Its XNT 9 SI 180 T transducer supports all the three types of sonar mentioned. Also, it has a built-in temperature sensor, to monitor the water temperature. The device has a transom mount and 6m of cable. 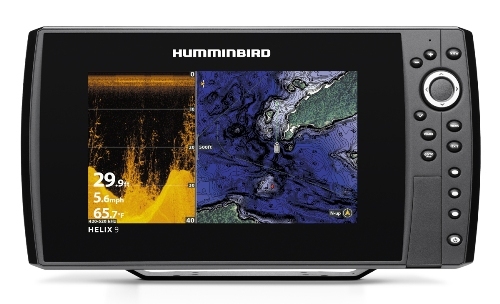 Humminbird HELIX 5 SI has a very powerful transom mounted transducer and can go deep into the ocean. Regardless of whether you are in the ocean or the river, you will be getting a better view of what is underneath the boat. With the Humminbird Helix kayak fish finder installed on your boat, fishing will become a breeze. Lowrance Hook-3X fish finder has LED-backlight that helps to brighten the picture. Its three-inch color display provides a clear picture of everything underneath. Viewing it is easy even when in bright sunlight. You can view the angle in the monitor. The resolution is around 320 x 240 which makes it easy to see underneath the waves. A reliable sounder is attached to the sonar that informs you what is nearby. It helps in identifing bottom contours, bottom hardness, fish, structure details and thermoclines. Lowrance Hook 3X will help you identify which spot the fishes are hiding and lead you to the area where there are lots of them. To adjust the settings automatically, the device has advanced signal processing computer. This battery powered fish finder can detect the structures, fish and what is underneath the ocean in a more detailed and clearer manner. 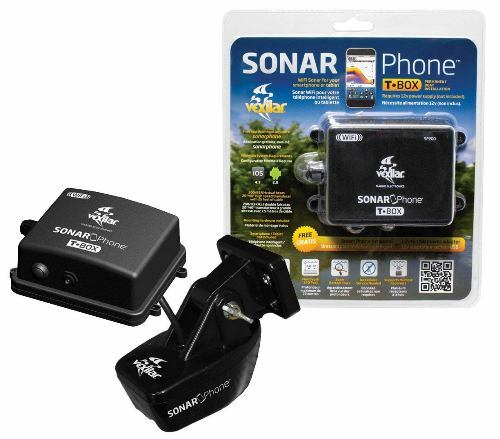 The sonar uses a dual frequency that enables you to view what is beneath the boat. For maximum exposure under the water, it runs at 83 or 200 kHz. 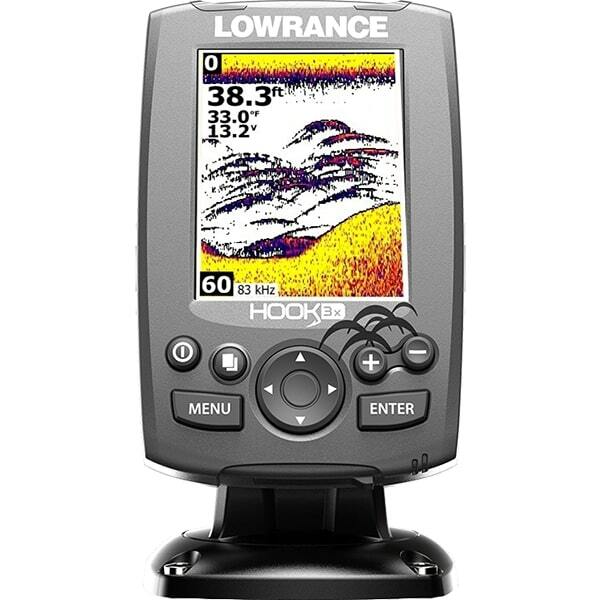 Lowrance Hook-3X Sonar is also considered as one of the best fish finder GPS combos today. The Garmin Striker has lots of helpful features that will help you locate and catch more fishes. One of its useful features is the Integrated GPS System. This will help you detect and reveal information on what is underneath your kayak. You can use this information together with geographic data to then optimize your ability to catch the fish. Its CHIRP technology offers more detailed images as compared to traditional sonar units. It does this by releasing a range of frequencies instead of a single-frequency signal. This technology provides greater detail as compared to the conventional sonar technology, and likewise, offers greater target separation, which enables you to identify fish faster. It also has ClearVu Scanning Sonar technology for photographic quality images. Garmin Fish Finder Striker has a built-in flasher that works well for those who prefers ice fishing. 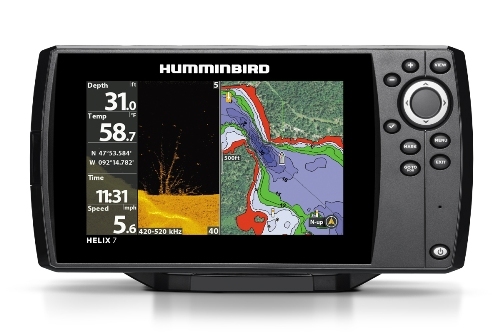 The Humminbird Helix 7 has four different variants, but the first choice for most anglers is the DI version. The most noticeable feature is the upgraded image processor that enables better signal and produce a clearer image. Helix 7 has an attractive design case, with a 7 inch screen. The screen is slightly extended to make room for its control system. You can navigate into the software with the use of a silver-rimmed directional pad. It includes all the primary functions like zoom, select, mark and menu. The Helix 7 switchfire sonar is easy to use, giving you more control over how you will use your fish finder. It has two settings, the wide beam, and the narrow beam. The wide beam offers less detail but covers a bigger area. The narrow beam enables you to home in on your action and you will also get more information concerning your surroundings. 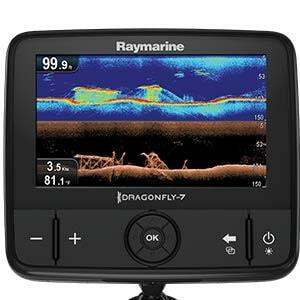 Display Size - Diagonal: 7"
The first thing you will notice about this fish finder is the 4.3 inches backlit LED. This will help you read the display in bright light and also during the night. It has HD images with a 480 x 272 WQVGA resolution. It is also considered as one of the good inexpensive fish finders for kayaks. The device also has an optical bonding feature that helps you view images with brighter colors and sharper contrasts. This is considered as an all-weather fish finder. Finding a catfish is super easy with this device. 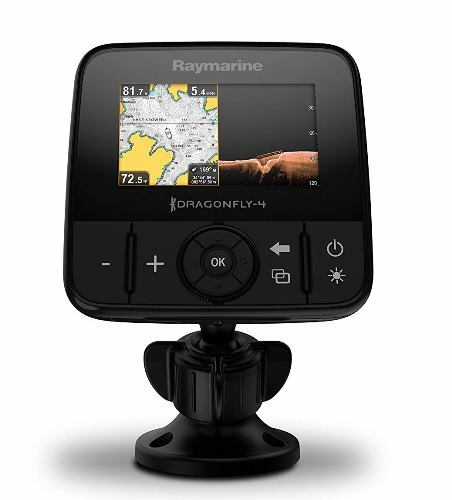 The Dragonfly 4 Pro has 50-channel GPS and C-map that enables fast-tracking of lakes, rivers as well as other coastal areas. This portable fish finder GPS allows you to spot up to 3000-waypoints and 150 routes. Therefore, you will not have any problem revisiting these areas in the future. The device has a microSD card that lets you save all these information. This fish finder is an excellent product to have while kayak fishing. It is compact and designed to connect to a smartphone. The Vexilar SP200 is a transducer that can connect to the smartphone wirelessly. It can be controlled by using an application. This device needs to be hooked up on a 12-volt battery for power. You can easily read, monitor and view the data you detected. It provides accurate information while traveling in a boat. The transducer is very handy and can be carried and used anywhere. This fish finder is a budget-friendly unit. Lowrance Mark 4 offers three models; the Base unit, CHIRP, and HDI. Any of them would be perfect for a kayak fishing boat. These models are some of the remaining non-color fish finders in the market today but it does not mean they are low-quality units. 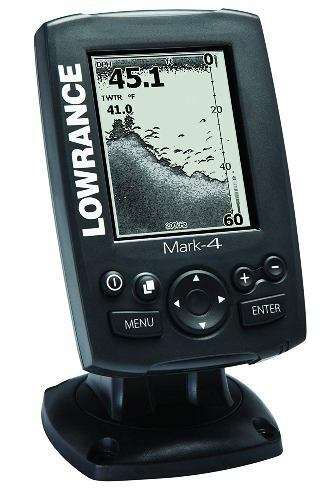 The Lowrance Mark 4 series is an excellent addition to your kayak fishing adventure. The base model of Mark-4 is a standalone sonar unit without chart plotting capability, and thus it cost less than the two models. The CHIRP and HDI offer better sonar capabilities and also mapping and charting. The Lowrance Mark 4 models have TrackbackTM scrolling which lets you arrow back into the sonar history to save zoom or waypoints in exciting structure underneath easily. It is a must when you are working with a monochrome screen. 1. What is the purpose of using sonar during kayak fishing? The tool will help you find and catch fish. You can also mark the location where there are lots of fish around and save it for your next fishing adventure. These devices are equipped with lots of features that are very helpful for anglers. 2. Is it safe to purchase the tool online? Yes, you can purchase a fish finder online. It is much cheaper, and you can sometimes get a higher discount if you buy it online. Just make sure you are buying it from a reliable store. 3. How does a fish finder works? The fish finder makes use of sound to find the objects underwater. The tool sends sound pulses into the water, and it waits for an echo. Then it will display what is underneath your boat. 4. Which is better portable fish finder or fixed fish finder? Portable fish finder has lots of useful features than fixed fish finder. 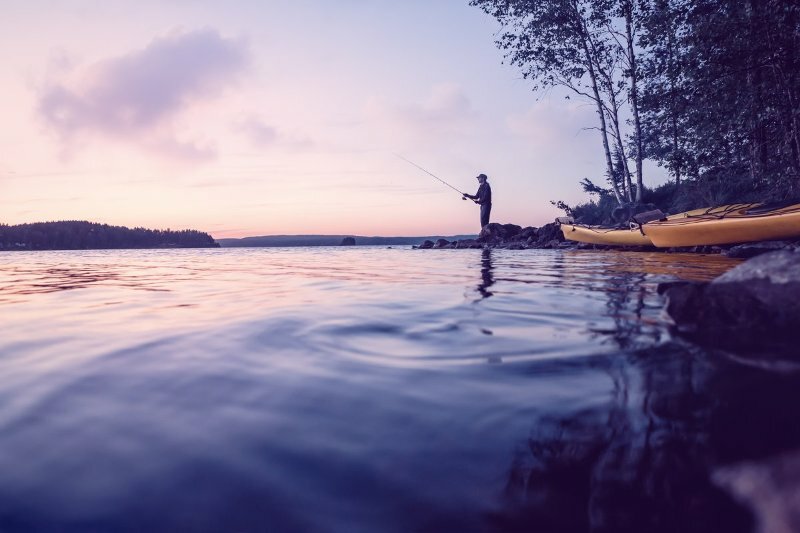 One advantage of portable sonar is that it is very versatile, you don't have to decide between canoe fishing or lake fishing since you can use it on both types of fishing. All the above fish finders reviewed can be considered as the best fish finder for kayak, but our best choice is the Deeper Smart Sonar PRO+. This device has all the features anglers are looking for in a sonar. It displays what is in store for you underneath your boat clearly and accurately. You can also use this device day or night. Finding the perfect spot to discover and catch fish is easy if you bring along your Deeper Smart Sonar Pro plus on your fishing adventure. We give this fish finder 4.8 stars out of 5. For additional information and reactions, you can comment below. And if you find this review helpful, feel free to share this post. Great post about best fish finders available on the market. It is very helpful for a beginner like me. After reading this article, I have decided to pick Garmin Striker 4 from your list. What do you say about my choice? Thanks for sharing. The Garmin striker 4 is a good choice!